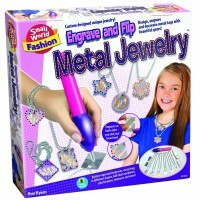 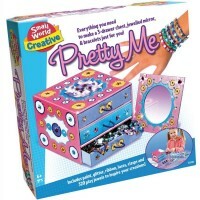 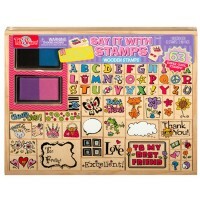 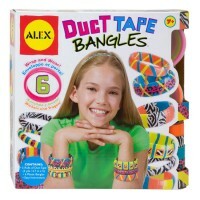 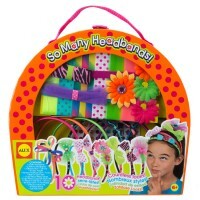 Friends 4 Ever Craft Kit by Alex Toys comes with everything your girl needs to make really beautiful friendship bracelets. 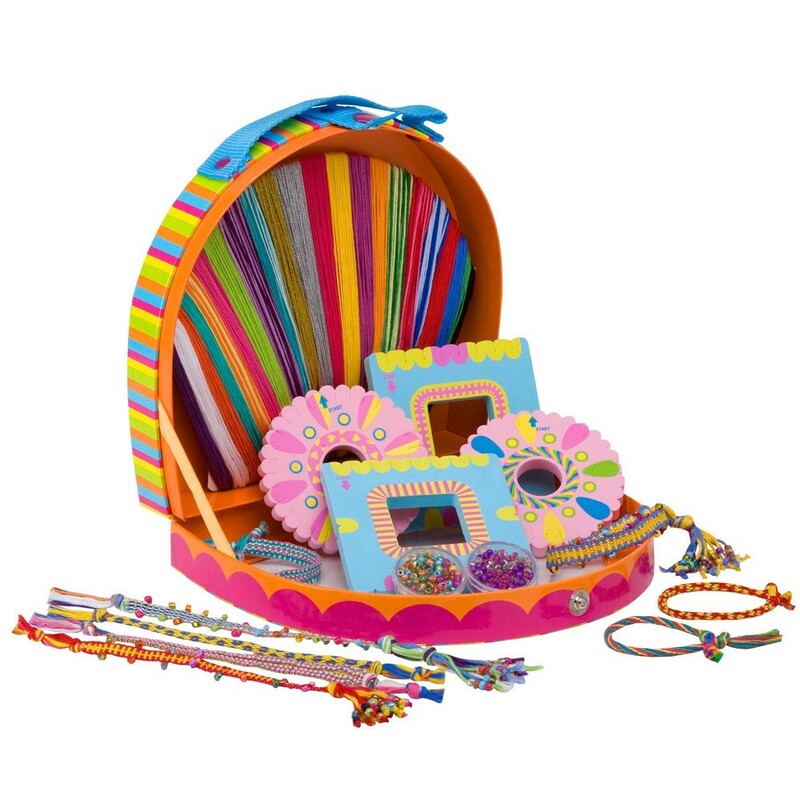 Making friendship bracelets is all girls' favorite activity! 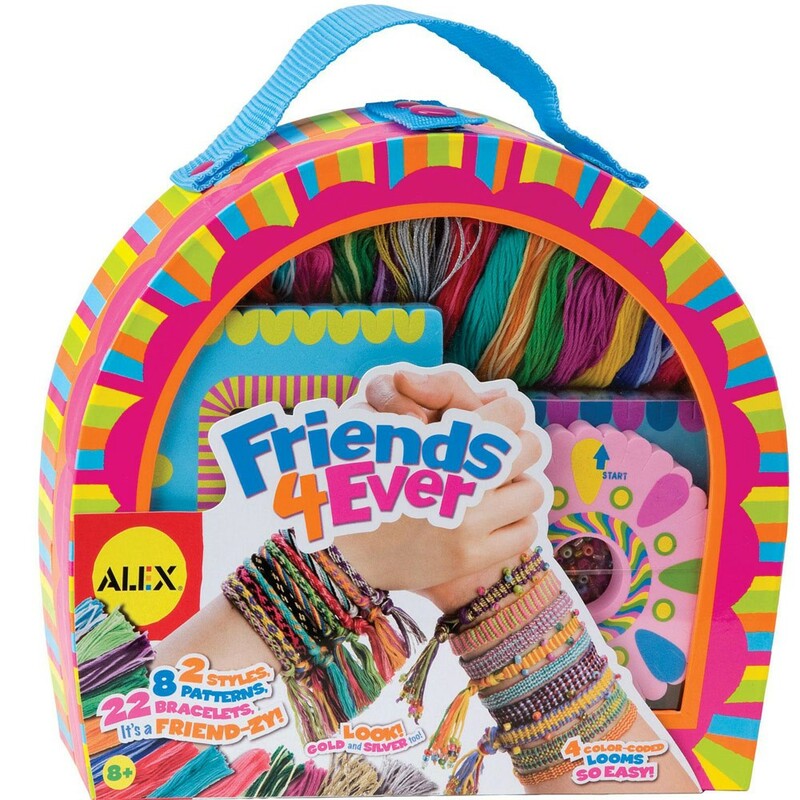 Friends 4 Ever Friendship Bracelets Craft Kit by Alex Toys comes with everything your child needs to make really beautiful friendship bracelets. 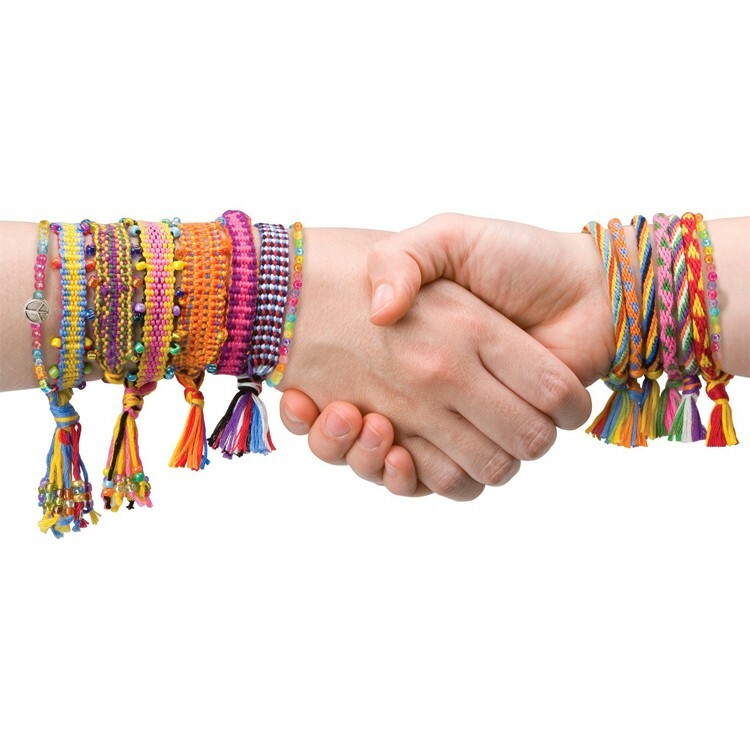 Make 22 bracelets with the enclosed 22 colors of floss including even gold and silver threads! 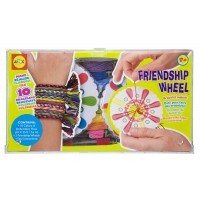 Follow the easy instructions and with 2 friendship wheels and threads you can design and make the best looking bracelets for you and your friends. 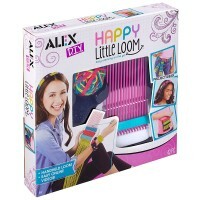 4 color-coded looms allow your bracelet designers to create 2 styles, 8 patterns of their unique friendship bracelets. 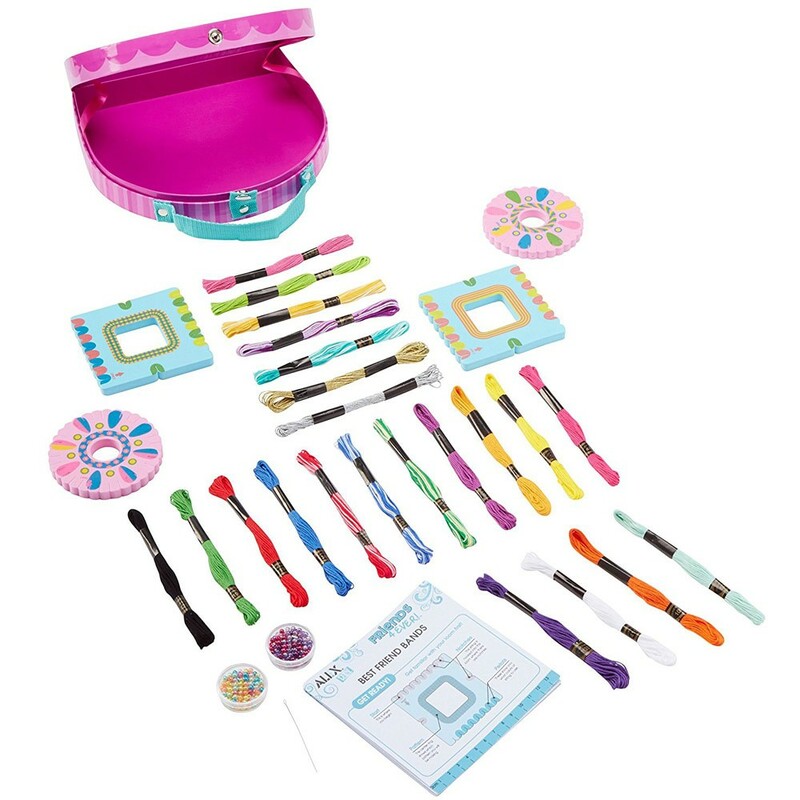 Friends 4 Ever Friendship Bracelets Craft Kit includes decorating beads, beading needles, 2 best friend band looms to turn your girl's bracelet making into the real fun! 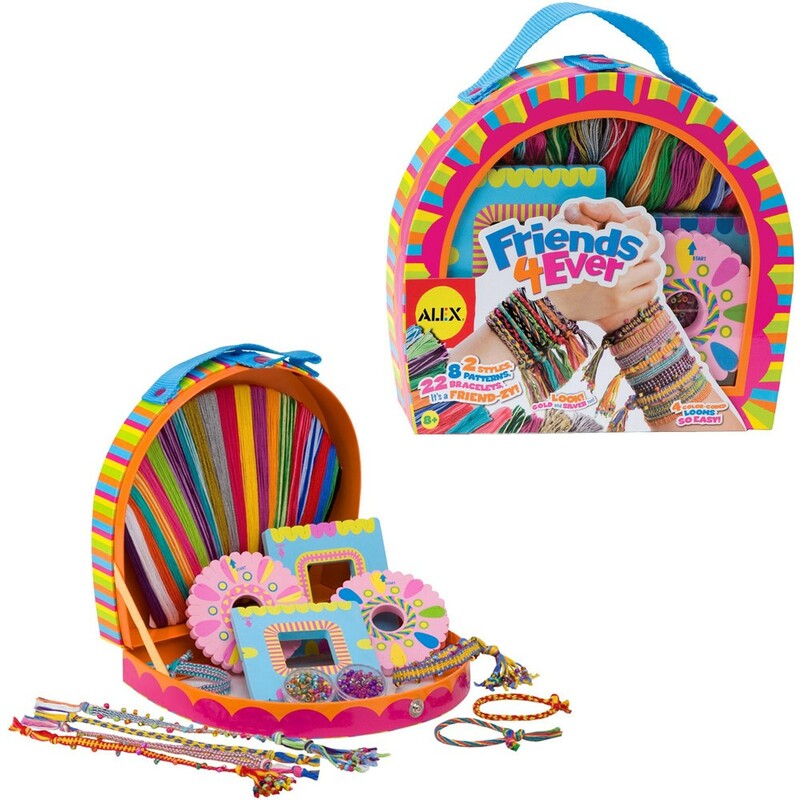 Friends 4 Ever Friendship Bracelets Craft Kit from Educational Toys Planet comes with the cool looking carrying case that makes it easy to take anywhere. 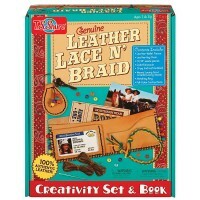 Dimensions of package 9.5" x 8.75" x 2.33"
Write your own review of Friends 4 Ever Friendship Bracelets Craft Kit.